Led effort to develop and pass infrastructure bank legislation. Successfully defended client on effort by trial lawyers to change statute of limitations. Led lobbying effort to pass major regulatory reform legislation in S.C. Led lobbying effort to pass education accountability legislation. Successfully lobbied against electric deregulation for client. Led lobbying effort to pass local sales tax option for client. Defended SC senate on reapportionment and constitutional issues. Successfully lobbied for interstate banking legislation for client. Successfully lobbied for billion dollar bond bill for education facilities. Successfully passed legislation for national time-sharing organization in tax and real estate area. Successfully defended businesses on environmental issues sought by environmental groups to limit or shutdown the businesses. 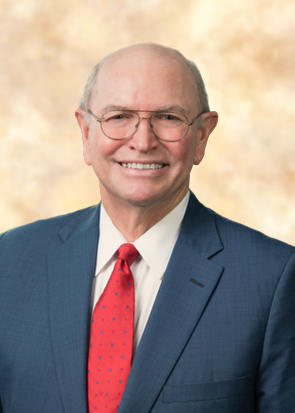 Jim Fields joined Burr Forman McNair in 1984, after serving as Attorney to the South Carolina Senate Judiciary Committee and Clerk of the Senate. He was the Managing Shareholder of the Governmental Affairs Unit until becoming of counsel. He represented a multitude of major business clients involved with issues before the South Carolina Legislature, South Carolina regulatory agencies, and local governments. Due to his vast experience with the state’s business community, he also advises the firm on economic development issues relating to recruiting and expanding business in South Carolina. Jim also served as the Executive Director of the Palmetto Institute, an independent research foundation chaired by Darla Moore, whose singular mission was to increase the economic well-being of the citizens of South Carolina.